This is not just another book about Roswell. It�s not about any of the events surrounding one of the most famous UFO incidents of all time. It�s not even about any of the men or women involved in the recovery of a spaceship and its crew in the summer of 1947. Rather, it�s about the aftermath�the lifetime impact Roswell has had on the families who were forced to live with the truth while accepting the government�s account of the incident, then forced to face years of suppression and fear of reprisal from a government sworn to protect them. The daughter of a witness to an alien body who discovered that her phone had been bugged for years. How the U.S. Air Force tried to change the mind of the son of the Roswell intelligence officer in 1995. What really became of the son of the principle witness, who disappeared in 1960. These are stories worth reading that force you to think about why the government would go to such lengths to keep these families quiet. Thomas J. Carey is a U.S. Air Force veteran who held a Top Secret security clearance. He has spent the last 23 years investigating the Roswell incident and published more than 35 articles about it. Tom has appeared as a guest on many radio and TV shows and contributed to a number of Roswell-related documentaries. 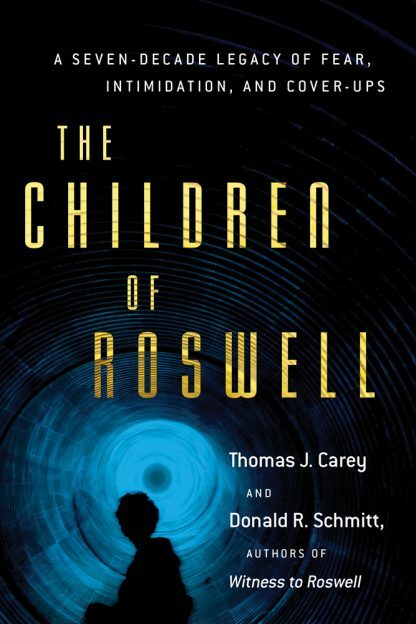 Together with Donald R. Schmitt, they have written many bestselling books such as Witness to Roswell.